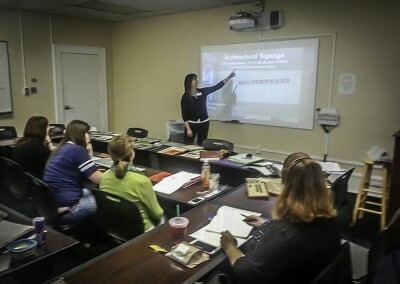 RP Signs’ Project Manager Christine Morgan taught the Architectural Signage segment for the graduate level course “Commercial Design Studio 2” at Queens University (2015 Spring Semester). 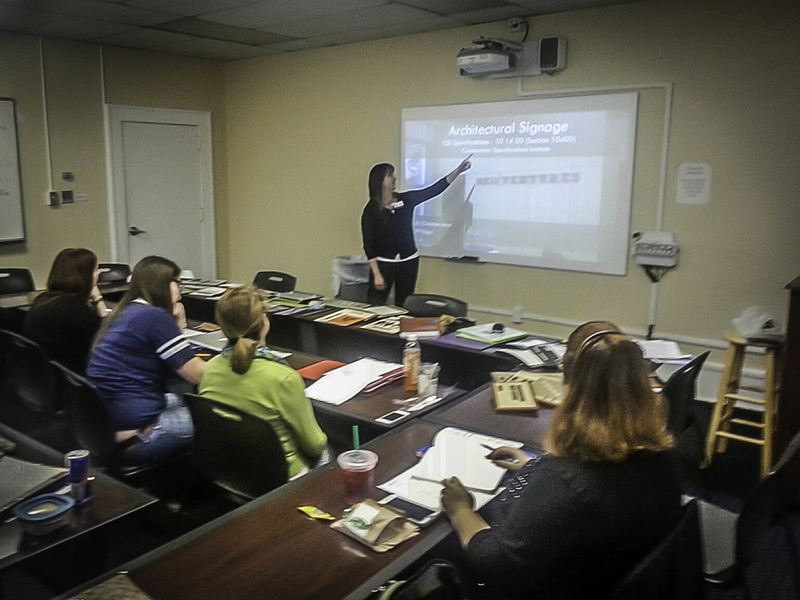 The topics covered included, but not limited to, were codes and regulations, signage program development, integration with projects, and considerations during design and implementation. Thanks to David Hite of Hite Architecture and the graduate students at Queens University for this opportunity. The “she” he is talking about is NOT an owner, but one of our Project Managers. We really appreciate the feedback and hope that all our Project Managers are mistaken for owners on every project they’re involved with. Just wanted to post this exerpt from an email that is referencing us, written by one of our clients in Florida who works with James Neely, one of our Project Managers. 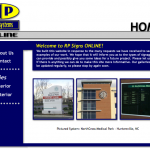 We recently completed an upgrade to signs at Lake Norman Regional Medical Center as part of their application to become an accredited chest pain center. 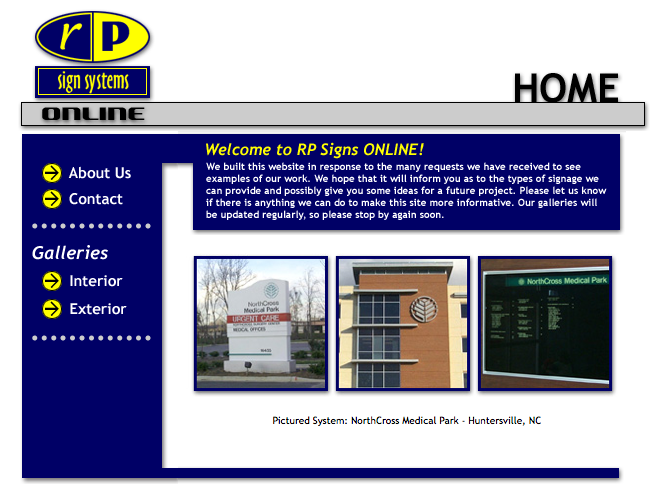 LNRMC relied on RP Signs to assist them in the placement and design of the signs that would be needed. Below is an e-mail received from their Director of Operations. 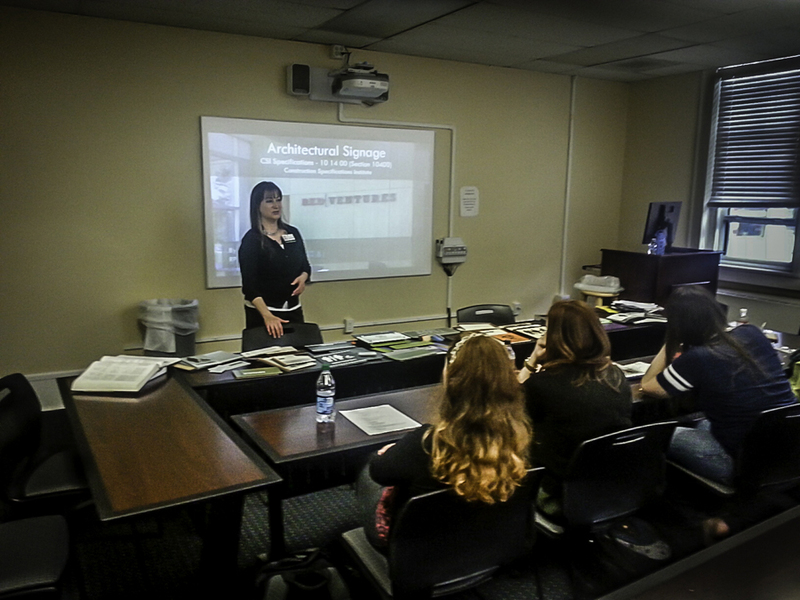 We have enjoyed a great relationship with LNRMC and look forward to many future projects. Good morning Jamie; just wanted to thank you for the innovative creativity we received from RP Signs on the upgrade to the interior signage in preparation for our accreditation survey. The surveyors were very impressed with the attention to detail of the new signage. They found the signage to give very good direction to the Emergency Department from all areas of the hospital. They commented that they would be hard pressed to find any better signage. They took a lot of photographs as they toured our facility to use as examples in future surveys. Again thank you very much for assisting us in achieving our success. 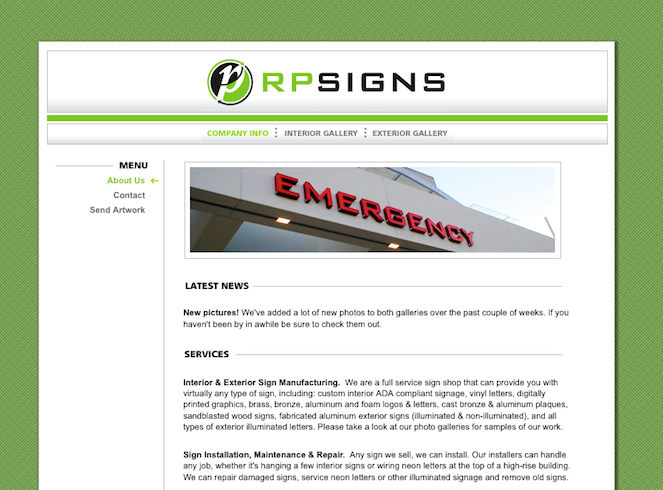 Finally, today we get to say goodbye to the old rpsigns.net and welcome in the new. We hope that it will be an improvement over the last version with more information about our company, larger photo galleries and this “Latest News” section, which we plan to keep updated with our latest projects and announcements. 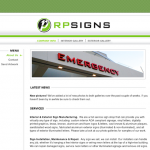 Please follow us on Twitter @rpsigns and “Like” RP Signs on Facebook when you get a chance.